It’s been a few weeks since our Disney Magic Marvel Day at Sea cruise, and we’ve had time to reflect on our experiences. A Disney Cruise had been on our vacation bucket list for quite some time. We have enjoyed other cruise vacations, but have never experienced a Disney cruise. Heading out for our voyage we figured we would be impressed, but our expectations were blown away. We had an amazing cruise; one we will never forget. Read on for our final thoughts of our Disney cruise below. When you go on a Disney cruise, you’ll get so much more than just another vacation. You’ll get the “Disney Bubble” experience like never before, Disney’s magic is sprinkled all over the ship. Disney Cruise Line staterooms designed with families in mind, rotational dining, and exceptional entertainment are just a few spots where the Disney Cruise Line separates itself from everyone else. Not to mention, you’ll visit many different ports of call and enjoy an amazing tropical getaway on Disney’s Castaway Cay. There is so much built into your cruise fare, you’ll also get to enjoy merely showing up to your vacation without having to pay a bunch of extra fees all over the ship. We were blown away by the Disney difference. We knew we would enjoy our Disney cruise, but were not prepared for what we experienced. By the end of our cruise, we totally understood why people are so crazy about Disney cruising. It really is that amazing. If you’ve been to Disney World or have spent time reading a website like ours, you may have heard of the “Disney Bubble.” The Disney Bubble is the totally immersive experience at Disney World that blocks out the real world for the duration of your visit. It’s this short break from reality that makes a Disney vacation so special. We love being in the Disney bubble during our vacations. It allows us to (mostly) forget about our everyday worries and concerns and really just enjoy being with our family on vacation. A Disney cruise takes this “bubble” to a whole new level. A Disney cruise lets you leave your worries behind even more. This is especially true considering most guests will not sign up for the internet package—they will be even more disconnected from the outside world. This allows guests to focus on the here and now, their families, and the offerings of a Disney cruise. 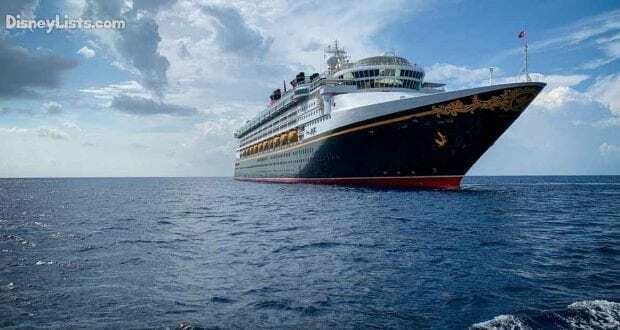 Disney magic is even more present on a Disney cruise—we felt it the entire week, and we left trying to figure out how quickly we could get back on another Disney cruise! A Disney cruise really is different in a few distinct areas. First, in addition to the “Disney Bubble” we talked about in #2, the entire vacation is sprinkled with Disney magic. 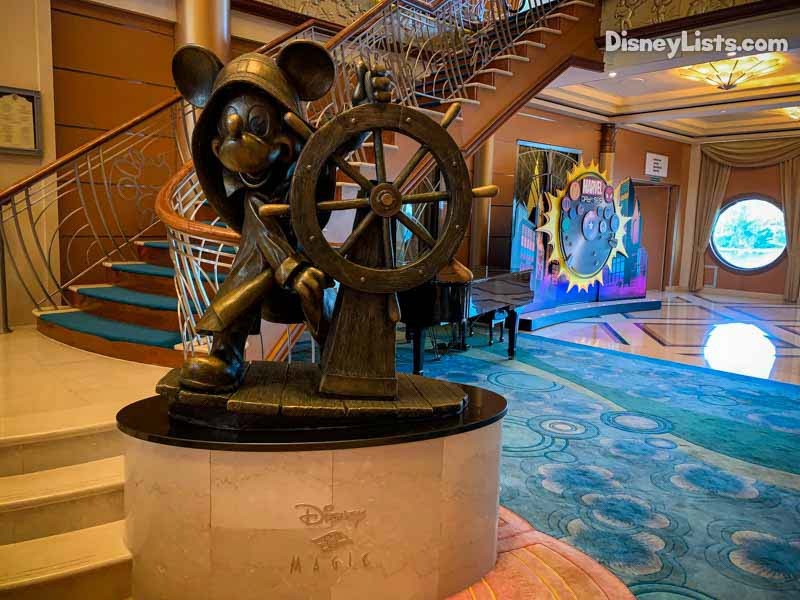 The décor of the ship is infused with Disney magic. From hidden Mickeys in the décor to the amazing attention to every single detail, to fantastic family-friendly shows, there isn’t a moment you won’t feel you’ve entered somewhere magical. Do you love to meet Disney Characters? If yes, then a Disney cruise is a fantastic way to meet all of your favorite characters, many of them in costumes that exclusive to the Disney cruise line. Waking up and going to meet Mickey or Minnie before playing for the day, is a fantastic way to start the day. It’s impossible to enjoy this cruise without bumping into Disney characters. No matter what your age, this is a bonus you’ll only find on the Disney Cruise Line. What makes a Disney cruise different than other cruise lines? More than you might think. First, Disney staterooms are unique in that they have two-bathroom areas: one room with a toilet and sink, and another room with a bathtub/shower and a second sink. This makes thing so much easier, especially when multiple people are trying to get ready for the day at once. Also, the inclusion of a bathtub along with the shower is so important for families with young children! The youth clubs on the Disney Cruise Line are a kids’ dream come true! We toured all of the youth areas during our cruise, and we were certainly jealous! These areas are so cool that we wanted to play there! If you expect Disney to be outstanding in one area, it should be here—and they deliver. We overhead so many kids asking (and begging) to be able to go to the clubs. We also heard parents saying their kids didn’t want to leave! Families will get a chance to spend lots of time together, but each age group will be able to enjoy their own time in their age-appropriate areas of the ship. 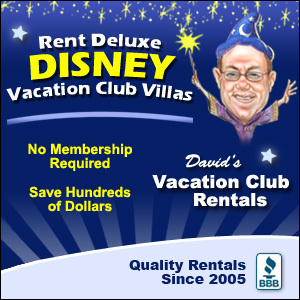 Disney has a lot of great options for families looking to vary their time together! At Disney World, there is a wide variety of food options from quick-service restaurants to award-winning signature dining. As we’ve said, we’ve cruised on other cruise lines, and for us, the food service on these other lines have been the most disappointing parts of the cruise. We’ve found stale food without any real flavor. We expected Disney to be much better in the area of the food, and once again, we were blown away. Everywhere we dined, the food was fresh and had a lot of flavor. We tried the food at almost every location offered and were very pleased with what we found. We especially were thrilled with the restaurants in the evening. There was a lot of variety on the menu and, most importantly, the food was delicious. It was on par with what other cruise lines offer in their surcharge specialty dining. Knowing that you don’t need to pay extra every night for great food is a huge plus and another great reason to cruise with Disney. Disney also has rotational dining. Rotational Dining means you’ll enjoy dining at different restaurants each night, but your serving staff stays with you. We especially enjoyed this aspect of the dining experience. It kept things from getting monotonous. Also, it was great to have the same servers with us each night. It made our meals more enjoyable because they got to know us and what we liked. (See more on Disney’s exceptional service in #7). Both the excellent food and fantastic service came together when we dined at Palo, Disney’s only pay-extra food restaurant. The entire experience was so worth the small upcharge. We highly recommend adults dining at this restaurant at least once! As you may expect the entertainment offerings on a Disney cruise are top-notch. For us, the entertainment we enjoyed the most during our cruise were the three Broadway-Style productions that were performed on the ship. The cast was terrific, and the production itself was incredible. We had the chance to speak to two of the entertainment cast members during our cruise and their love for their craft was evident. We talked to Zach (a close friend of Prince Charming) for over thirty minutes (while waiting for Captain America) about his time at Disneyland, how he worked his way to the cruise line and some of his experiences. The value of this entertainment can’t be overstated. The production value is high, and you’ll get to enjoy multiple shows throughout your cruise. Our five-night cruise included three shows, all included with your cruise fare. The Broadway-Style shows are not the only entertainment you’ll enjoy. The deck shows are also fantastic and not to be missed. Disney also offers first-run movies during cruises (included in your cruise fare). During our cruise, Ralph Breaks the Internet and Mary Poppins played multiple times. Also, because our cruise was Marvel themed, many Marvel movies also ran during the cruise. Seeing movies can be expensive and this is just another perk Disney cruises offer! Disney’s customer service is legendary, and as you would expect, the customer service on a Disney Cruise is no different. While we didn’t have any particular needs, our friends at DisneyOver50.com had dietary restrictions and told us that their servers were amazing at giving one in their party excellent food choices that supported her diet. We had questions about meeting the characters, and the cast member who spoke with us gave us great tips on how the system worked. From your room attendant to the servers that follow you in rotational dining, to the cast members who answer questions–every cast member interaction we had was a positive one. We felt pampered and spoiled by the staff all week, and there were always smiles to greet us. We were shocked how many cast members knew us by name by the end of the week. We can’t say enough about the service on the Disney Cruise Line! 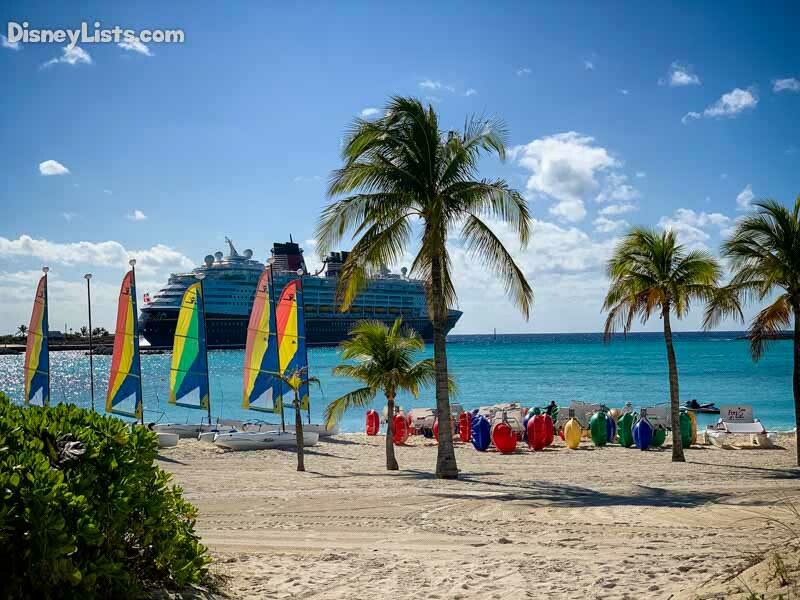 Most Disney cruises that sail to the Caribbean include a day at Disney’s private island, Castaway Cay. There was so much to love about Castaway Cay. This is so much more than a typical day at the beach. There are plenty of activities, food, and beverages that are included in your cruise fare. There are also plenty of activities to enjoy for a small fee. We really enjoyed the Castaway Cay 5k! A 5k race at Disney World costs about $90 to enter, per person. The Castaway Cay 5k is included with your cruise fare, and it doesn’t require you to wake up at 3:00 in the morning! This is a wonderful opportunity to have the entire family race a Disney 5k without those added race fees! Read all about our day there by clicking here. Disney is known for being a great family vacation, but it is also an excellent option for Disney loving adults. Chad and I enjoyed this cruise without our children. There were plenty of offerings for us to enjoy without any kids around. We enjoyed a fantastic dinner at Palo, the adults-only pool at Quiet Cove, the adults-only beach area, Serenity Bay, and the adults only clubs in the evenings. 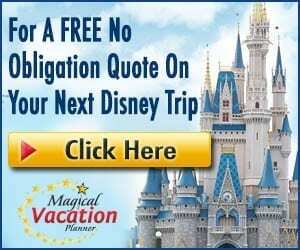 We love Disney and were able to enjoy the magic of a Disney cruise, but also experience a fantastic vacation with just the two of us. It really is an excellent option for adults. You don’t have to bring your kids along! Themed cruising is another excellent offering by Disney Cruise Line. Disney offers seasonal cruises like Halloween on the High Seas and Very Merrytime Cruises. They also offer Star Wars and Marvel Day at Sea cruises. If you read our Day 4 cruise recap, then you’ll know that we absolutely loved our Marvel Day at Sea. These themed offerings make an already unique Disney experience more special, and you’ll get to experience exclusive Disney Cruise Line offerings. Disney recently announced the return of Star Wars Day at Sea and Marvel Day at Sea in 2020. Read all about the return of these offerings by clicking here. With all of the different Disney theme parks, a Disney Cruise may not have been on your radar. However, a Disney Cruise should be on your Disney bucket list for all of the reasons we stated above and more. You are going to get so much with a Disney cruise! The magic of Disney, the exceptional Disney service, Disney entertainment and characters, amazing ports of call, a tropical getaway on Castaway Cay, themed cruises, and so much more. Editor’s Note: The Disney Company provided us with a complimentary Disney Magic Cruise and special media specific events during the cruise. However, as always, the thoughts and opinions contained in this article are entirely our own.